With rich industry experience, we are engaged in offering 1H-Pyrazole-3,5-dicarboxylic acid. The offered dicarboxylic acid is processed using optimum quality chemical compound under the guidance of quality controllers in conformity with the international parameters. This 1H-Pyrazole-3,5-dicarboxylic acid is provided in safe packaging options to retain high purity and stability. 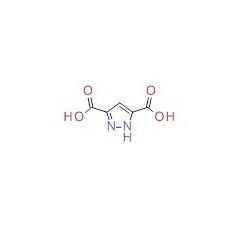 Besides, we offer this 1H-Pyrazole-3,5-dicarboxylic acid to our clients at economical prices.